APR 04 (WTN) - For the Lok Sabha elections, the centre ruling party BJP and other political parties are engaged in campaigning in their respective ways. Talk about Madhya Pradesh, after the defeat in the Assembly Elections, the BJP has once again fielded its Digital Army i.e. IT workers to win the Lok Sabha elections. For your information, let you know that the BJP used social media to win the 2014 Lok Sabha elections, which has benefited the BJP and the BJP could get the full majority in the Lok Sabha elections for the first time. While talking about Madhya Pradesh, in the last Lok Sabha elections, the BJP had won 27 out of 29 seats in Madhya Pradesh. Again, to win more seats in Madhya Pradesh this time in the Lok Sabha elections, the BJP has deployed more than 76 thousand ‘digital warriors’, from Lok Sabha constituency in charges to booth label in charge, whose work will be to propagate the achievements of the BJP and answer the allegations made by the Congress. The BJP has the intention that cyber cell workers can attract more young voters through social media. According to the information, the BJP has deployed 20 cyber warriors in every Lok Sabha constituency, in whose total number in the state is 580. Similarly, in every Assembly Constituency, 10-10 workers of BJP IT cell are deployed; whose total number will be 2,300.At the same time, 10-10 BJP IT workers will be deployed in 835 Mandals of the state, in this way 8,350 cyber warriors will be deployed in the entire state's Mandals. If we talk about the polling booths in Madhya Pradesh then there are about 65,367 polling booths in the state. 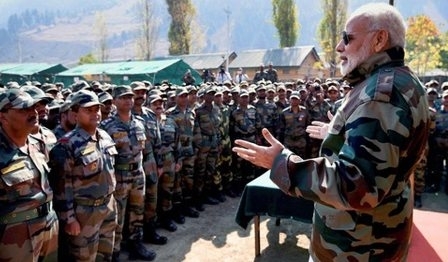 BJP is going to deploy one cyber warrior on every polling booth under its strategy in the Lok Sabha elections. He will be responsible for the campaigning for the BJP's plans to the voters of their booth labels. 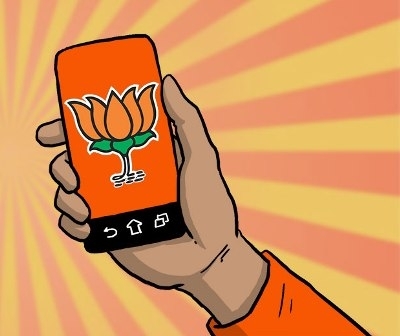 That is, if you look at the numbers, from the Lok Sabha constituencies in charges to the booth level in charge, 76,597 BJP IT cell workers will be deployed who will campaign for the BJP's victory in the Lok Sabha elections in a digital way. The BJP is giving so much emphasis on social media because if the data is tracked, there are around 1.25 crore Facebook users in Madhya Pradesh. 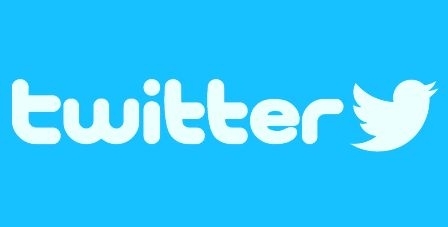 At the same time there are 5 lakhs people active on Twitter. But if we talk about the most common messaging app, WhatsApp, so near about 30 million people are active on WhatsApp in Madhya Pradesh. BJP has the intention of reaching out to every mobile through these social media platforms to pass out party's policies. There was a time of election campaign when the parties used to pass out their policies through loud speakers and pamphlets. But after the digital revolution, now mobile phones are in every hand and the election campaign is being done digitally. In such a scenario, all the parties are conveying their message to voter through social media platforms like Facebook, Twitter and WhatsApp. It is to be seen now which party's social media team can win over its party in more and more seats.